While the exterior design hasn’t changed much over the years, the new G63 features a number of improvements under the skin. The G63 is now 110mm longer and 106mm wider. 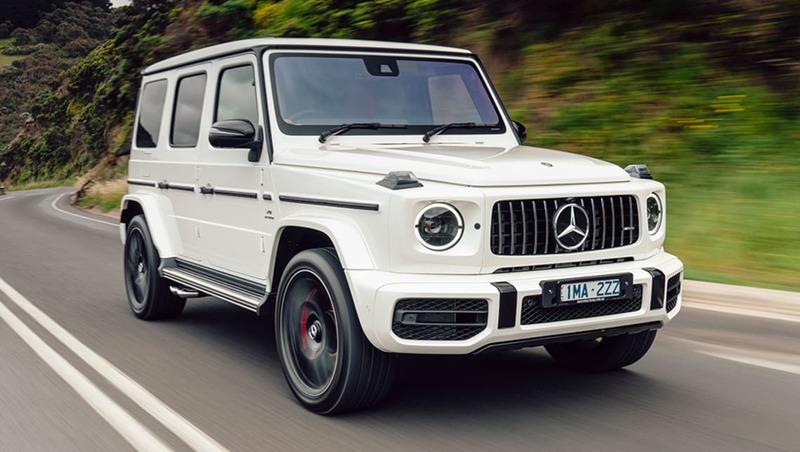 Mercedes-Benz Cars Australia/Pacific has confirmed pricing for its AMG-fettled G63 upper-large SUV, topping the G-Wagon range at $247,700 plus on-road costs, however all units have been spoken for until 2020. Mercedes’ local wing expects the flagship G63 to take up 80 per cent of G-Class sales, however as the performance high-rider is hand-built in limited numbers, precise delivery dates remain unclear. 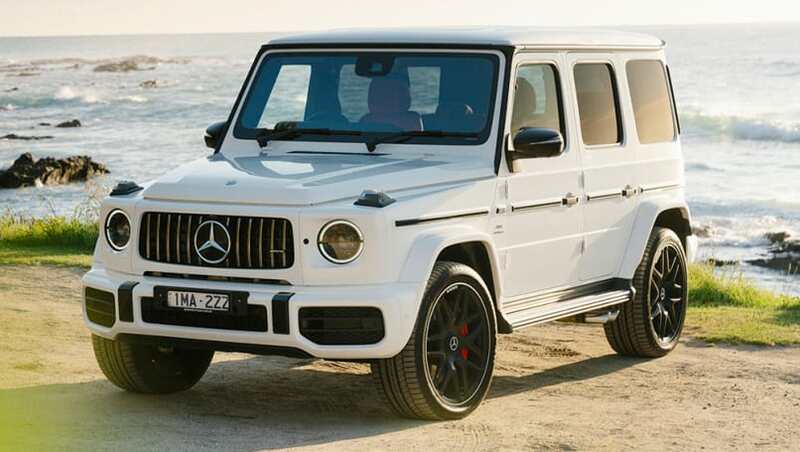 While it may not look like it from afar, the new G63 sports a number of upgrades, including new multi-beam LED headlights, AMG Ride Control adaptive damping, 21-inch alloy wheels, a selectable sports exhaust system and active parking assist. On the inside, nappa leather upholstery is accented by a leather-finished dashboard with open-pore wood trim and a microfibre roof liner. 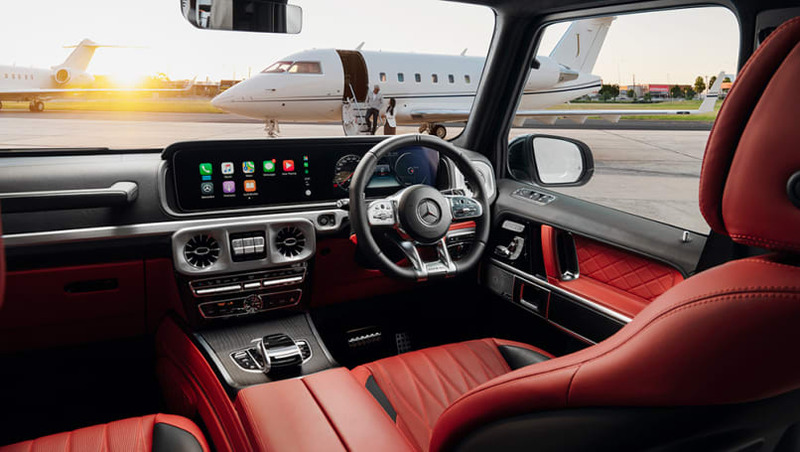 The G36’s whiz-bang interior also benefits from two 12.3-inch widescreen displays, a new 15-speaker Burmester surround sound system, 64-colour ambient lighting, a surround-view camera, sliding glass sunroof and an AMG Performance steering wheel in nappa leather. Comfort and entertainment features include a digital radio with a television tuner, internet connectivity, satellite-navigation with dynamic route guidance, Apple CarPlay and Android Auto connectivity, electronically adjustable front seats, steering column and mirrors as well as heated seats and three-zone climate control. The G63's interior scores nappa leather upholstery accented by a leather-finished dashboard with open-pore wood trim. 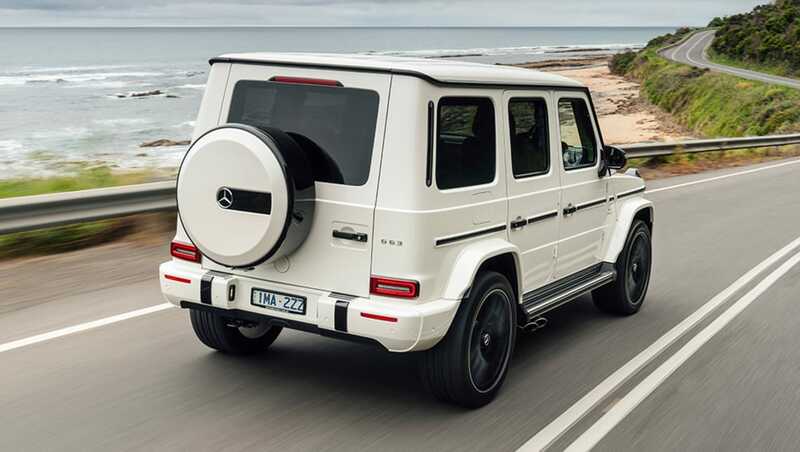 For off-road performance, the G63 sports three differential locks with its all-wheel drive system, a low-range transmission ratio and new front independent suspension to replace the previous live axle set-up. The adaptive damping can be adjusted using the vehicle’s three suspension profiles; Comfort, Sport and Sport+. Power still comes from a bi-turbo 4.0-litre V8 matched with a nine-speed automatic transmission, however its output has been upped from 420kW/760Nm to 430kW and 850Nm. According to Mercedes, the new G63 will sprint from 0-100km/h in 4.5 seconds. Both size and capacity has been adjusted this year, now 110mm longer and 106mm wider, and with an extra 40mm added to the wheelbase and 3mm to ground clearance. Mercedes says that the changes to dimensions equates to more passenger room in the cabin as well as an improved departure angle. Compared to the regular G-Class, the G63 gets a new 'Panamericana' grille, and AMG body kit. To distinguish the flagship from the standard G-Class range, the AMG features a new 'Panamericana' grille, AMG body kit, metallic paint, side running boards, red brake calipers and chrome-plated tailpipes. Safety kit includes nine airbags, active lane-keep assist, blind-spot assist, active brake assist, traffic sign recognition as well as Mercedes’ 'Pre-safe' system which braces both the vehicle and its occupants when a collision is imminent. Is the Mercedes-AMG G63 the coolest SUV on the market? Tell us your thoughts in the comment section below.